and finds herself in the middle of their battle for the throne. Moon Lovers was one intense ride! It has everything you could ask for including action, romance, handsome princes, drama, and so much intensity. 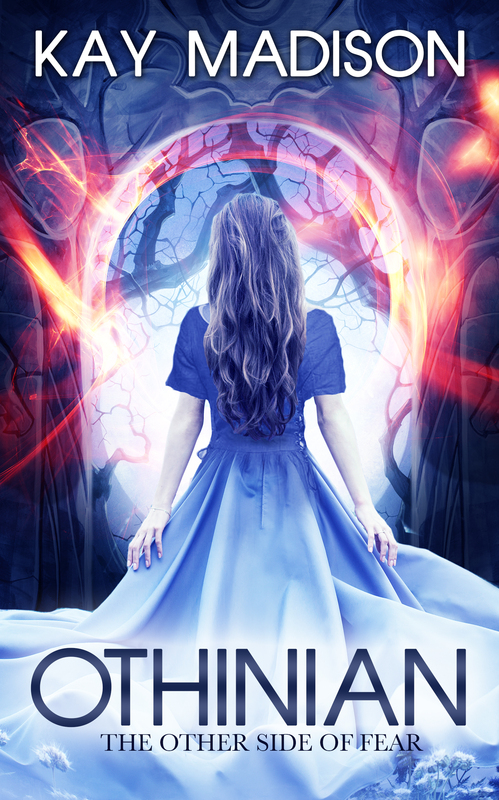 It’s an epic journey of one woman who must navigate her new life in the past surrounded by princes vying for her affections. 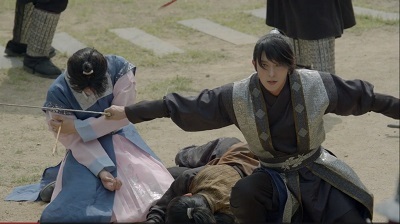 Goryeo is also a very dangerous place, and when she gets caught in the middle of their battle for the throne, her life gets seriously complicated. I absolutely love the Goryeo era, and this drama didn’t disappoint in that regards. The costumes are so gorgeous for both the men and women. I also love the long flowing hair on the guys and the more intricate styles on the girls. The sets are completely beautiful, and they easily transported me right into the drama. 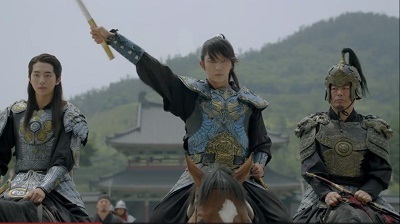 Lee Joon Gi is absolutely phenomenal as the 4th prince, Wang So. Wang So is a dark and very tortured man. He has a reputation for violence and is feared by almost everyone. A tragic incident as a child left his face permanently scarred so he wears a mask to hide it from everyone. 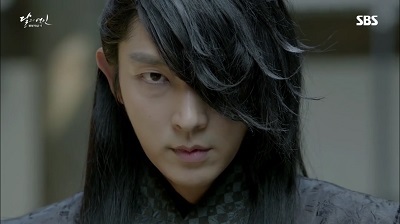 Lee Joon Gi is such an amazingly talented actor. There are so many different sides to Wang So’s character, and he really brings each of them to life. And his ability to convey so much emotion through his eyes and subtle changes in his face has always left me in awe. He also transitions between emotions flawlessly. One scene in particular had him go from shock, to embarrassment, to hurt, to anger in a matter of seconds. 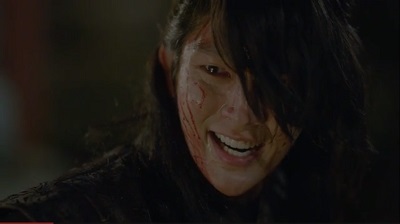 It was truly moving, and gave just a small display of Lee Joon Gi’s talent. I almost couldn’t handle many of his scenes purely because he was so intense in his delivery. He really gave me goosebumps! And when he’s sad, he is completely devastating. He just pulls you right into his experience. Lee Joon Gi alone is worth watching this drama, but there are plenty of other great reasons to check it out. 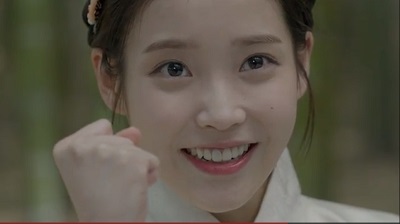 IU was great as the spirited Hae Soo. Hae Soo faces so many challenges during the drama including adjusting to life in Goryeo, drawing the affections of multiple princes, and attempting to prevent the bloody history she learned about in the future. It’s a lot of pressure for an average girl, and it all really takes a toll on her throughout the drama. 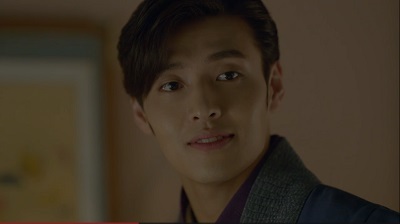 Kang Ha Neul plays the 8th prince, Wang Wook. He’s a sincere and level-headed man in the midst of the craziness of the palace. But even the most steadfast person would have a hard time keeping it together, and he certainly faces his share of moral dilemmas in the battle for the throne. 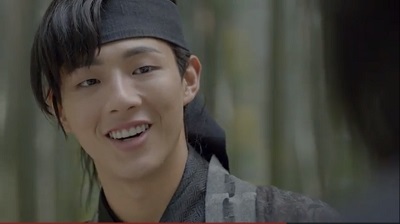 I was absolutely thrilled with Ji Soo as the 14th prince, Wang Jung. At first, he has a much smaller role as the free-spirited brother who liked to leave the palace and get into fights. But as the drama progressed, his part grew much larger. 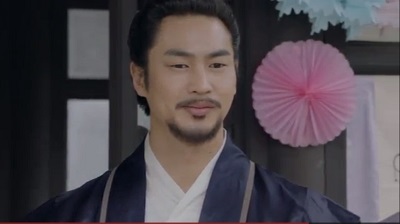 As he matured, he became a very prominent figure in the drama that I really enjoyed all the way through. He also has a very sweet relationship with Hae Soo. 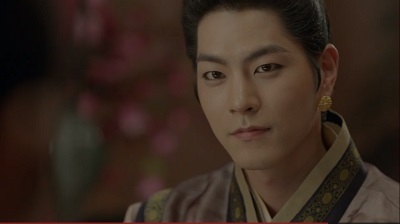 Hong Jong Hyun plays the villainous 3rd prince, Wang Yo. He easily portrayed the callous prince who would go to any lengths to ensure his future as king. He wears some fantastic costumes throughout the drama, and he really rocks the guy-liner too. 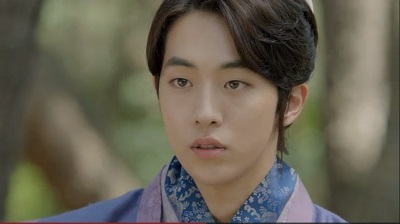 We have Nam Joo Hyuk at the 13th prince, Baek Ah. He is kind and intelligent with an open mind. He is also the brother who is closest to Wang So. He gives Wang So a much needed friend and ally in a world full of mistrust and betrayal. 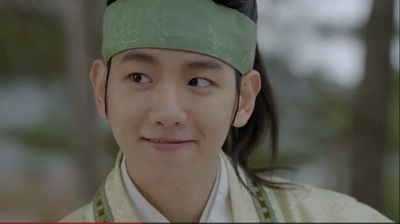 Baek Hyun was quite entertaining as the 10th prince, Wang Eun. He is the irresponsible and fun brother. He’s a bit naive and has a lot of growing up to do. But his crush on Hae Soo gives him a chance to do that. He was definitely a fun character. 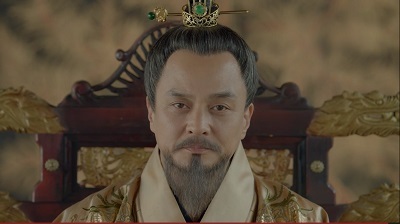 We also have the upright Crown Prince, Wang Mu (Kim San Ho), who just wants to do what’s right for the kingdom and live peacefully with his brothers. We round out our princes with the sneaky 9th prince, Wang Won (Yoon Sun Woo), who frequently causes trouble behind the scenes. We also have very memorable performance from Jo Min Ki as King Tae Jo and Park Ji Young as Empress Dowager Yoo. They each bring a strong presence and a lot of intensity to their roles. Let’s take a look at the main relationships of Hae Soo. Hae Soo and Wang Wook have this very sweet and tender relationship. He cares for her when she first arrives in Goryeo, so she naturally feels drawn to him. Their relationship feels more normal and healthy with a sweetness to it. But of course, they eventually face some serious challenges. Hae Soo and Wang So’s relationship is much more turbulent. In the beginning, he treats her coldly like he does everyone else and repeatedly threatens to kill her. Not the best start to a relationship. But her kindness to him does quickly soften him. But even then, he is still very controlling and possessive. It takes half the series to even truly get to the real romance between Wang So and Hae Soo. And even then it isn’t all sun and roses. Their relationship faces many obstacles from many different sources. Wang So truly loves Hae Soo, but he still does many things she finds deplorable. It makes her feelings for him very complicated. She frequently loves him, but hates what he does. It definitely makes for an interesting relationship. But Hae Soo is able to provide Wang So with a source of comfort, trust, and most importantly, confidence. The two lovers do share plenty of very tender and caring moments, and there is never any doubt about Wang So’s passion for Hae Soo. Their relationship is filled with much joy and heartbreak. Okay, the main negative for the drama would be that the editing was somewhat iffy throughout. Transitions between scenes were sometimes awkward, the camera would quickly pan from one object to another rather than cutting, and many facial shots were way too close a lot of the time. Some of these issues do improve though. It’s disappointing for sure, but it in no way affected my enjoyment of the drama. Many people probably wouldn’t even notice it. I also actually wish the drama had been longer. It would have been nice to have more time to flesh out each prince and their story. With such a large main cast, there just wasn’t adequate time to dig super deep with some of the princes (especially the 9th prince who was frequently left out of the narrative). And with such an interesting world and intriguing characters, I would have enjoyed going more in depth and spending more time them. Scarlet Heart really is an epic tale of the harsh world that lies within the palace walls. It is full of danger, betrayal, and murder. It is a place where one must kill or be killed in order to survive. A family of brothers is forced to become enemies in order to secure their place on the throne. If you just sit back and let someone else become King, you run the risk of being killed so that the King can protect himself from you. But when someone does become King, protecting the throne becomes a full time job. There is always someone ready to take you out so they can step into your role. It is a truly scary place to be. And that is what sets up a wonderful and exciting story filled with drama, fear, and betrayal. It was so sad to watch as each new King rose to power. There was only a moment of glory for reaching their goal before reality set in. Paranoia quickly took over each of them as their previous allies turned against them. We lost several of our characters throughout the drama. One death that was felt particularly hard was that of Eun. While still a boy in many ways, he had finally begun to mature and was ready to stand up for those around him. 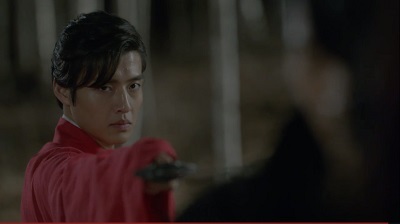 His death broke the hearts of so many who loved him, but it was completely devastating for Wang So. What a heartbreaking scene. Scarlet Heart as a whole was beautifully tragic. The way it ended perfectly highlighted that. When Wang So finally rises to the throne, he begins to follow the path of those before him. The wedge between him and Hae Soo only grows wider. Hae Soo did love Wang So dearly, but she never agreed with his harsh ways. And the more powerful he became the less he seemed to listen to her. The stress of the palace took its toll on her mind and body. When she reached her breaking point, she sought out Jung and left to be his wife. Although reluctant at first, in his anger, Wang So let Hae Soo go. Part of me wished that Hae Soo could actually live a happy life with Jung. Luckily, it was peaceful being with him, and he was a good husband who was always there to take care of her all the way to the end. But she always longed for Wang So. As she lay on her deathbed, she reached out to him, but a misunderstanding prevented her from seeing him before she died. She passed away while resting in Jung’s arms. Wang So was left devastated and heartbroken at the loss of his only love. 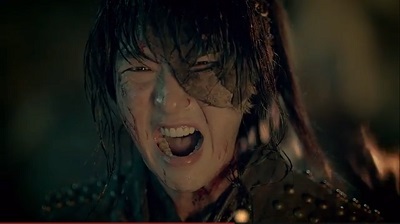 Lee Joon Gi continued to deliver the emotions all the way through the end. The ending was very moving. After her death, Hae Soo wakes up back in the modern times with no memory of what happened in Goryeo. But the memories slowly come back until she remembers it all. As she reads through history, her heart breaks for Wang So and that she left him all alone. It was so sad! Back in the past, even though Wang So was alone, he remembered Hae Soo talking about how nice it would be if they had met in another life. He then proclaimed if there was a way to find her, he would do it. And I believe him! I do think the drama missed an opportunity to insert at least a brief glimpse in the modern time of the reincarnated Wang So. It just would have sweetened it. But it was heavily hinted at that Wang So would be reunited with Hae Soo in the future, so I was more than happy with it. Overall, Moon Lovers: Scarlet Heart Goreyo was epic and tragic. It had extremely high stakes all the way through that kept things intense. The drama definitely wasn’t perfect and was very rough around the edges, but it got so much right and delivered so many feels. Lee Joon Gi was as fantastic as can be, and he was surrounded by an interesting cast that each brought something different to the table. The atmosphere, costumes, sets, music, and story were completely engaging. 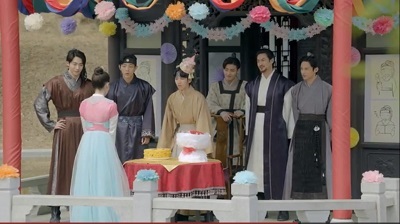 Scarlet Heart is unique in many ways, and I’m thrilled to have enjoyed such a fantastic story. This entry was posted in Reviews and tagged Hong Jong Hyun, IU, Ji Soo, Kang Ha Neul, kdrama, Korean Drama, Lee Joon Gi, Lee Ju Ki, Moon Lovers, Moon Lovers Scarlet Heart Goryero, Nam Joo Hyuk, Scarlet Heart: Goryeo. Bookmark the permalink. I was bothered by the editing through at least the first half of the drama because it seemed such a shame to undermine all the great work by the rest of the cast and crew through subpar editing. However, now that it is over, I love the whole drama even more. 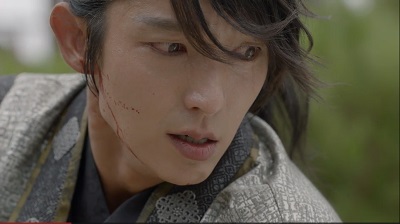 I can’t even express how wonderful Lee Joon Gi’s portrayal of Wang So was. I could watch all his scenes over and over again. Oooh, that’s a tough one! They are such different dramas from each other and each have a distinct appeal. 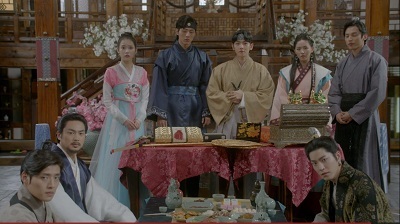 I absolutely loved Moon Lovers, but it is rough around the edges and has certain elements some people are more likely to see as negatives. But it received a lot of love and has so many things that made it great. I genuinely have nothing negative to say about Bridal Mask. It is polished, epic, and intense. And it is completely unique from anything else I have seen. That one gets a 10/10 and it is in my top 5 favorite kdramas ever. I really loved Scarlet Heart too! But my top 5 are My Girlfriend is a Gumiho, I Miss You, Kill Me Heal Me, Flower Boy Next Door, and Bridal Mask. You can read more about them in the link above. the close up shoot was really bothered me so much. and seohyun’s acting made me cringe. is it true that will be season 2 for this? Oh yes, the close up shots were by far the biggest negative to the drama. Very disappointing considering how beautifully it was shot. When you say tragic, does it have a sad ending? I might watch this next week IF it does not have a sad ending. I am hoping this will save me from my kdrama slump. I’m just rewatching a few dramas after dropping one. Oh no. I’m not yet ready for this. I’ll just watch one of your Top Ten then. Either I Miss You or Rooftop Prince. I’ll save this one for next time when I can handle some sadness HAHA. Thanks. Haha, yes it is quite emotional. Heads up though…I Miss You is quite angsty and has lots of sad parts. It does have a happy ending though 🙂 I like it more than Rooftop Prince, but Rooftop Prince has more rom-com elements. This drama was fully packed no doubt it is my number one kdrama ever. Though it wasn’t a happy ever after ending. I loved it. Hi Kaye. I remember you saying this was a sad drama. But why am I smiling right now? LOL. I cannot think of a better drama when it comes to character development and plot. This drama is amazing! It is so amazing it is very hard for me to explain! They really developed all the characters and not just the main ones. This makes it more believable and realistic compared to mainstream Kdramas (sorry). Though I still love Kdramas HAHAHA. I also love it because it shows viewers what life should and should not be about. A lot of people live life trying to “beat everyone to the throne”. They then realize too late that it is lonely at the top and they have to give up so much – sometimes including what makes them happy – just to keep that “throne”. This throne can be power, money, etc. Anyways, enough about that. I consider this drama to be perfect. I just do not know where to place this since this is not what I usually look for in a Kdrama. My Top 3 remains the same but this drama is the best in a list that only it occupies. It is so amazing Kaye! A different type of amazing! I’m so happy. You failed in making me sad. HAHA. I personally would want to see them reunite in the future setting. But I also think that type of scene would be somewhat out of place. It would be there mainly to please the fans. So the drama ended perfectly and true to its overall theme. It was the only way. Now that I think about it at times, it becomes a bit painful. More painful than watching HAHA. There is really that craving to see them meet in the future and be happy. But I just have to accept. Such is life. C’est la vie! My favorite scene is the end of Episode 19. The moment she went our of the palace. That I believe was the happiest scene in the drama. Though not giving up her love, she let go of everything that made her unhappy. I need to move on Kaye. I can’t keep talking about this. It’s getting painful. HAHAHAHA. Need a happy drama right now. Any recommendations? P.S. I still don’t understand why she is called IU. LOL. I’ll rewatch Weightlifting first then watch one of your recommended dramas once I am not anymore super busy. This is the series that made me a fan of Lee Joon Gi. I have never seen such a mesmerizing actor who is so good at conveying emotions, not to mention the fact that he is absolutely gorgeous. Before I watched this I have read some reviews and most of them said that the ending was truly heartbreaking and hard to move on from. Sure enough, it took me days before I have come to terms with the fact that it ended the way it did. I just couldn’t accept it for quite some time and I had been wishing it would have a part 2. I heard that this series didn’t do well in the ratings and I honestly don’t know why when this is easily one of the best kdramas there is. 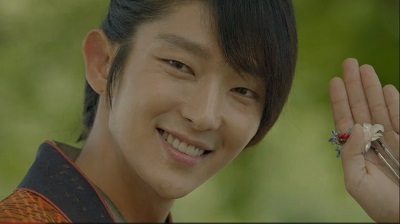 I can definitely see why this drama made you an Lee Joon Gi fan! I agree with you 100%. He is just phenomenal in every way. And Moon Lovers was an emotional roller coaster with a heartbreaking ending.